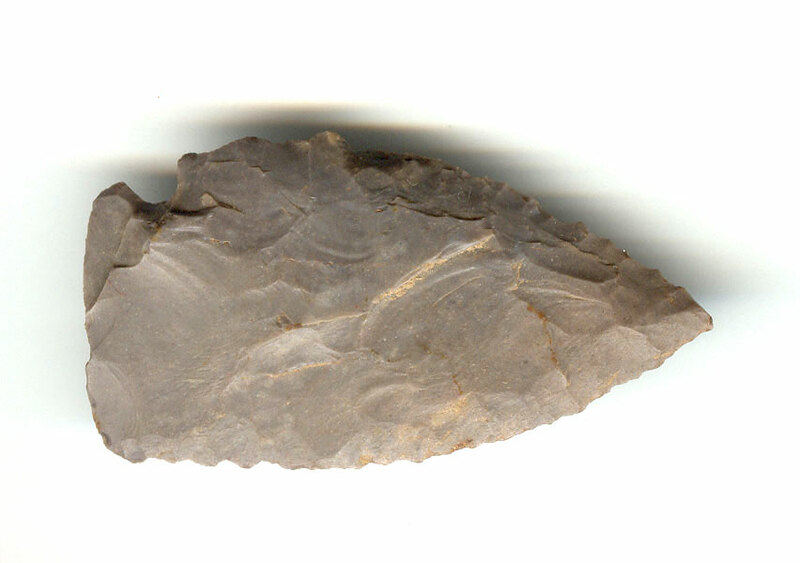 A Large Size,Rare Well Made, Anciently Aged, Pipe Creek Point That Exhibits Surface Aging & Stone Coloration Patination, Aging In The Single Basal Corner Notch, Aged Mineral Deposits, Correct Aged Blade Flaking, Aged Soil Deposits, Correct Material And Manufacture For The Area Found. This Rare, Unusual Type Knife Form Is Believed To Be A Tool Used By Early Period Arrow Makers To Prepare Feathers For Use On Arrow Shafts. This Is A Nice Example Being In Excellent Condition! Includes A Ken Partain Certificate Of Authenticity!